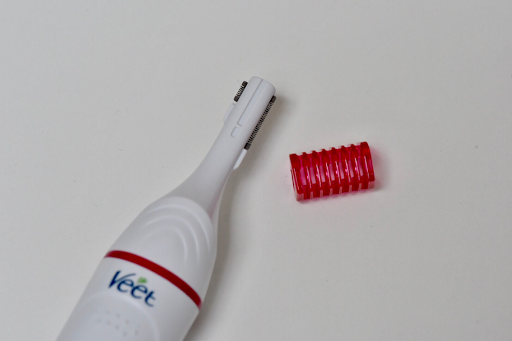 If you still remembered, a few months ago I've attended a beauty workshop with Veet and was introduced to its latest gadget, the Veet Sensitive Touch Electric Trimmer. With the introduction of this sleek gadget, hair removal just got easier with the various detachable heads to facilitate precise and gentle hair trimming at delicate body parts, such as the eyebrows, underarms and bikini lines. 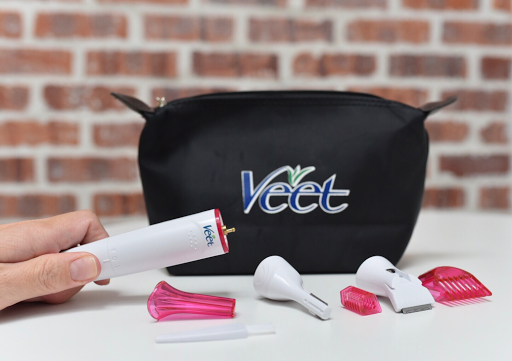 Each Veet Sensitive Touch comes with one beauty styler, one two-sided precision head for optimal eyebrow shaping, one bikini trimming head, two comb attachments, one styler cap, one cleaning brush, a beautiful pouch plus AA battery for the device. To install the battery, rotate the device to the 'T' to insert the battery. Shape : Use the larger head, lightly touch the skin and move the device opposite direction of hair growth. Trim : Add the comb for your desired length. Shape : For the perfect eyebrow contouring, remove the comb and use the high precision head. Lightly touch the skin and push it across the eyebrow. Trim : For desired eyebrow length, use the small head and add the comb. 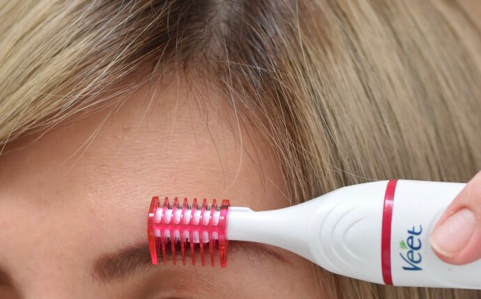 Place the device over the eyebrow and move it against the direction of hair growth. I do use the trimmer to trim my bikini line and I'm loving it. 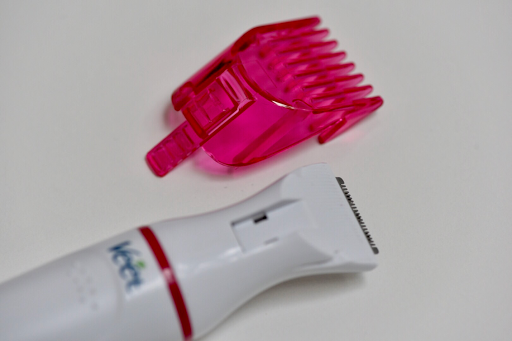 It was fuss free, pain free and without any irritation to remove unwanted hair neatly. Yay... to hair free bikini line. 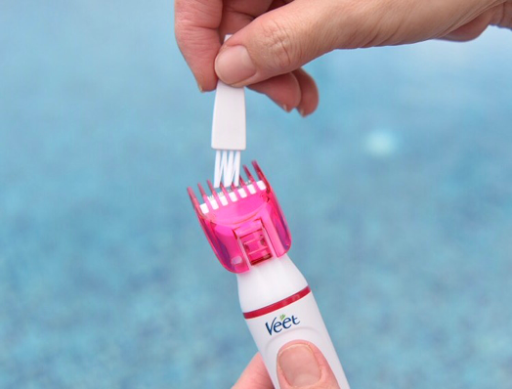 Now I can wear a swimsuit with confidence, thanks to Veet Sensitive Touch Electric Trimmer. No more shaving and risk accidentally cut and injure myself. Use the cleaning brush provided to clean the blades. Both the heads can be rinsed in water, but NOT the main body. The Veet Sensitive Touch is priced at RM119 available at all major pharmacies and major stores. I am looking to buy this epilator for legs. Looks great machine so far. Is this hair removal process painful?